Duane Bristow and Eva Harlan were born just after the end of the Second World War in a small impoverished county of Southern Kentucky. They married after high school, went off to college and work for fifteen years and moved back to their home area. They have kids and grandkids and live on a farm. Duane is a professional forester and has been a computer programmer and consultant for local small businesses since 1979. You will discover in these pages that he is also an armchair philosopher. We now have a private page for emails, memories, photos, and genealogy for our family members and friends from the past. If you are a descendent of Arthur Harlan and Annie Ewing or of Luke Gilliam Lafever and America Goff or if you worked at the Bert Combs Forestry Building of the Kentucky Division of Forestry between 1968 and 1979 or attended Clinton County High School between 1961 and 1964 or attended George Foster Peabody School of Forestry between 1966 and 1968 or have some other connection with our past please email us to get the URL. 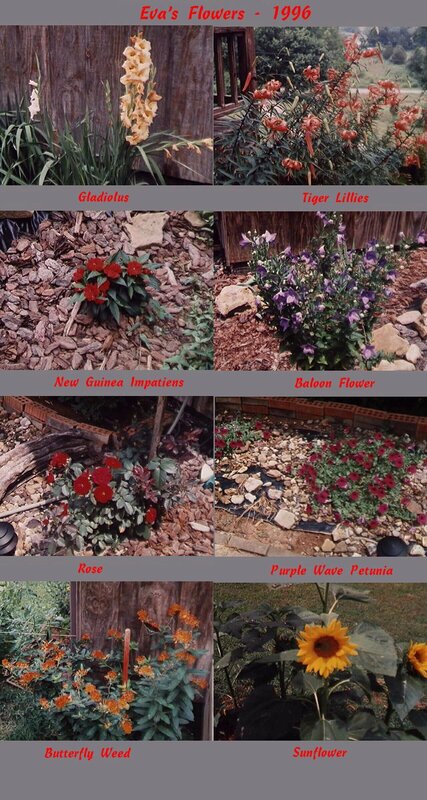 See Eva's Flowers from outside our house in the summer of 1996. 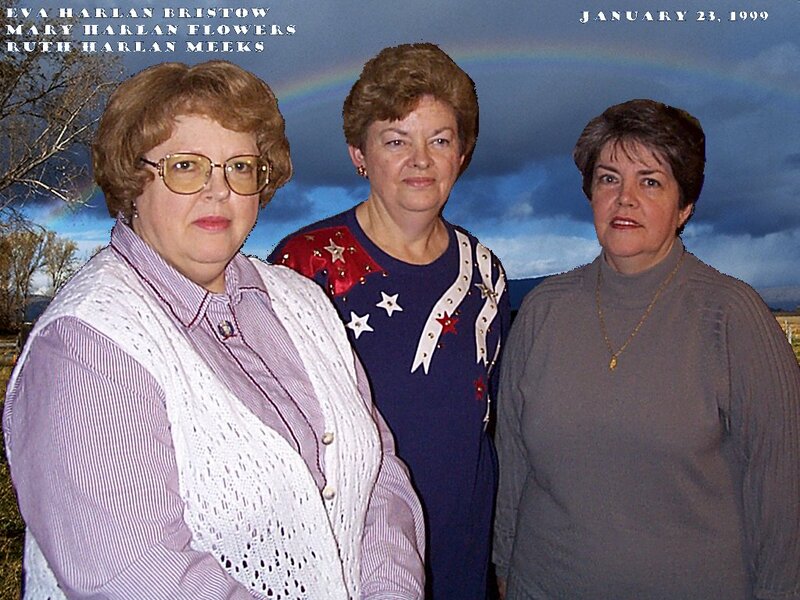 See Eva and her sisters from a photo made in January 1999. More Old Pictures found in old houses, etc. The Thunder Trail - One of our internet friends, an American Indian, made a long journey across the United States in the late summer of 1999. Read about his very interesting journey here and about his effort to help an elder of the Sioux tribe and his family. Phone solicitors - Read our thoughts on these people and some of our responses to them. AT&T teams up with JCPenney to rip off AT&T's credit card customers. - read the story here. My ancestor, Leven Bristow, migrated to Clinton County from Virginia in 1792 at the age of 15. My great grandfather, Samuel William Bristow, was a rural doctor and community leader in both Clinton and Wayne counties throughout the first half of the twentieth century. My grandmother was widowed and left to raise two children on a farm in Wayne County in 1930 at the beginning of the great depression. My father, after fighting in the Pacific theatre throughout World War II worked in a factory in Indiana for a few years and moved to the family farm in Clinton County in 1950 and lived there until his death in 1975. I own land and a business in the area and have raised my family here. My oldest son graduated from Clinton County High School in 1988 and is a veteran of the Gulf War. My youngest son will graduate from Clinton County High School in 1996. My wife, Eva, is also a native of Clinton County. Also see the family history of Clawson Bristow and the will of John Bristow. 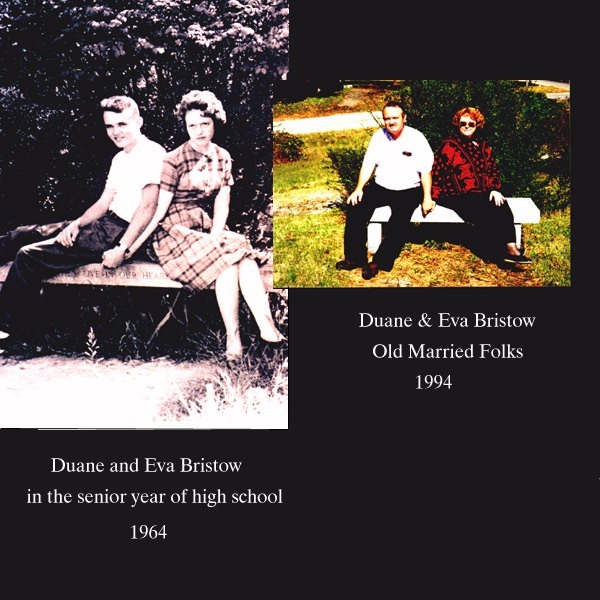 I used my Family Tree computer program, SFHR, to create a 39 page book of family trees of Duane Bristow and his ancestors. The file here is only the first several pages of this book the whole book is available as a zipped text file of about 23K. I also used this program to create a custom family history of myself and my ancestors back to the 17th century. A View from the Outside and Meeto, stories by John Blevins about growing up on Langham Fork in Wayne County, Kentucky in the 1950s. See my idea of plans for development. Last revised October 21, 2003.